The Lifting Solutions EnerSaver FL1741 drive system is an IEEE-519-approved, line-interactive AC drive system specifically targeted to achieve optimum operation with cost savings for pumpjacks, ESPs, PCPs, compressors, and other related artificial lift applications. The EnerSaver FL1741 drive system is ideal for rugged, demanding conditions typically found in the oil industry, and is available in a wide range of horsepower, kVA, and voltage configurations. As a micro-generator, the system must meet strict utility grid interconnection performance requirements, such as anti-islanding, power quality, interconnection integrity, and specific operating voltage to be allowed to connect to the utility grid. 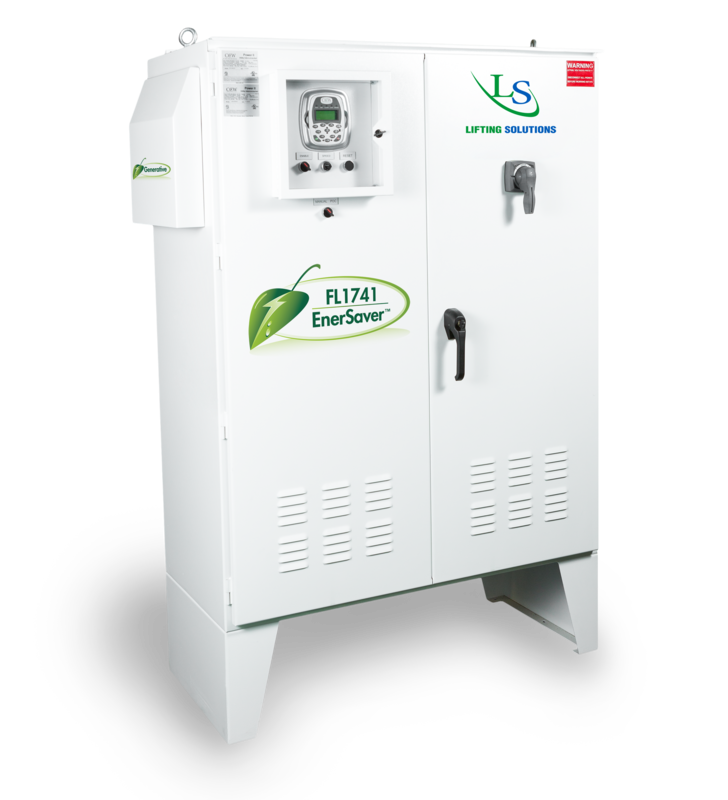 The Lifting Solutions EnerSaver FL1741 system is North America’s only inverter in the artificial lift market that is certified to UL 1741 (CSA 22.2 107.1) standards. Is the unit controlled by a POC? How many hours per day is the POC running? Is the POC timed or “smart”? Does the wellsite have capacity issues (e.g. the utility can’t supply the required peak load)? Are power factor penalties present?